To celebrate the running of the 2012 Mille Miglia race, Chopard have released this GMT Chronograph limited to 2012 pieces, inspired by dashboard instruments of classic racing cars. The GMT function on this watch allows the wearer to view the time in a separate destination without altering the time set at their original location, making it a vital tool for those who like to travel. This is done by simply adjusting the independent central GMT hand which refers to the 24-hour scale on the bezel. COSC-Certified Swiss made mechanical self-winding chronograph with 25 jewels. The movement has a frequency of 28,800 VpH and a power reserve of 48 hours. Set within a 42.4mm stainless steel case - or in rose gold, but for 250 pieces only - which is the watch features include glare-proof sapphire crystal glass, black dial with luminous hands including GMT hand and chronograph function, 30-minute counter at 12 o'clock, 12-hour counter at 6 o'clock with a central chronograph seconds hand and small independent seconds hand at 9 o'clock. There is also a date aperture aligned to the left at 3 o'clock and a tachymeter scale on the outer dial. 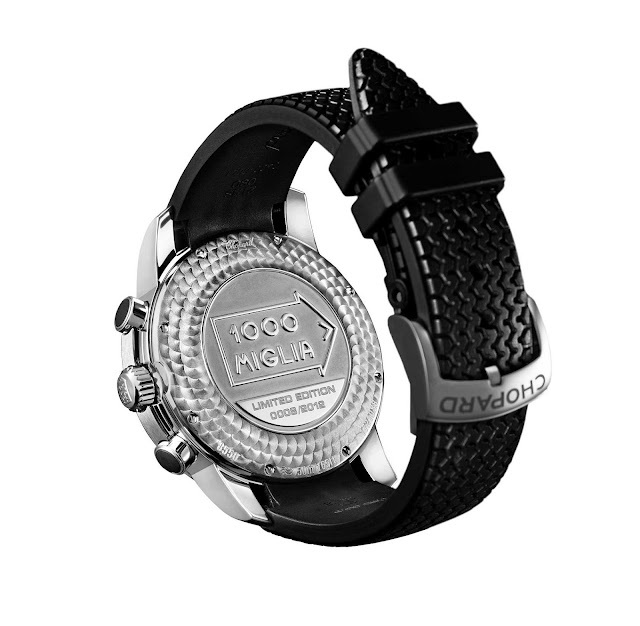 The watch is water resistant to 50 metres. 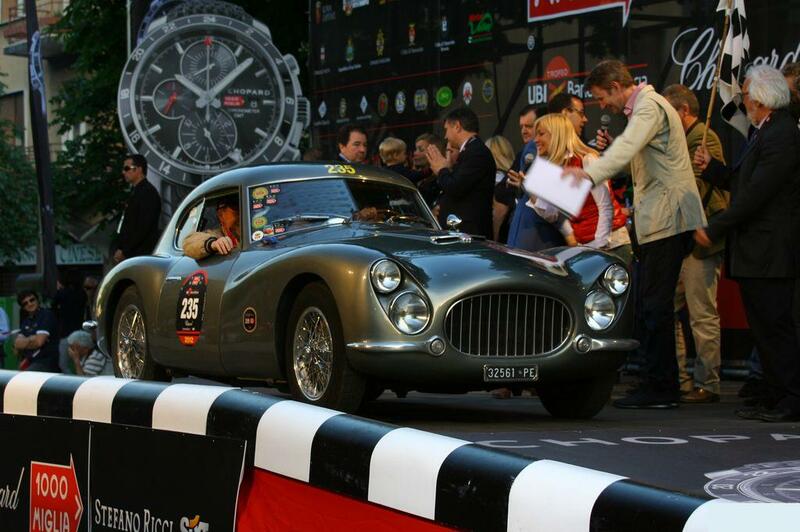 The Mille Miglia 2012 Chrono comes on a Dunlop racing tyre style rubber strap with stainless steel pin & buckle. 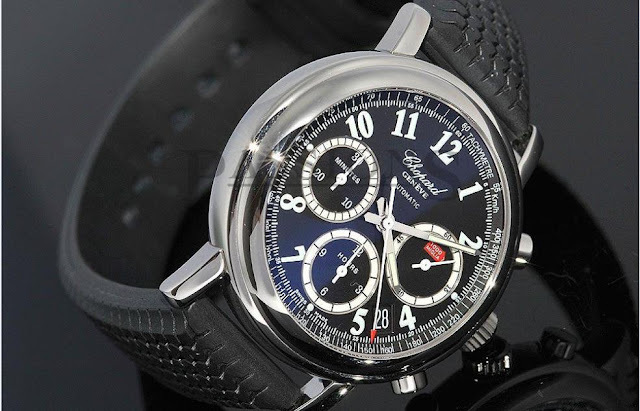 It’s presented in a Chopard Classic Racing box, with COSC certification and 2 year manufacturer's warranty included.